You must apply for an OR driver's license in person at a DMV office. You will need to pass the written, driving, and vision exams. In addition to providing various documentation, you'll need to pay the driver's license fee and testing fees. 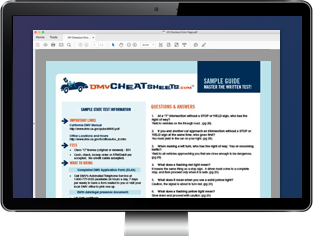 This page will help you obtain your first driver's license from the Oregon Driver and Motor Vehicle Services Division (DMV). NOTE: If you're under 18 years old, please follow the instructions on our Applying for a New License (Teen Drivers) page. Freshly arrived as a new resident in the beaver state? That means it's time to lock down an Oregon driver's license! Located in Oregon for 6 months or more of every year. Fulfilling some other criterion of residency, which is detailed on the state DMV site. To transfer your out-of-state driver's license, follow the application instructions outlined below. If your valid out-of-state driver's license has been expired for less than 1 year, the OR DMV may waive the driving test, which is otherwise required of first-time applicants. NOTE: You must surrender your out-of-state driver's license upon application. Class C: To operate a standard car. Instruction permit: For those 15 to 17 years old. Provisional driver's license: For those 16 to 17 years old. Commercial driver's license (CDL): Has various endorsements. A completed Application for Driving Privileges or ID Card (Form 735-173). Proof of your U.S. legal presence. Proof of your Oregon address. For more information about the documents required, visit the Oregon DMV website. NOTE: If you have a valid out-of-state driver's license, your driving test may be waived. You must surrender your out-of-state driver's license. Once you've passed all of the exams, you'll need to get your photo taken so the OR DMV can issue you your new driver's license. The written knowledge exam will cover everything from road signs and traffic laws to safe driving practices. This multiple-choice exam is based on information found in the Oregon Driver's Manual. In addition to studying the driver manual, the DMV provides a basic practice test. Our suggestion is to check out that test and then take a look at the online practice tests offers by our approved partner. They have been designed to help you succeed. During your road skills test, you will need to show that you have the adequate skills to handle a car and follow the road rules. You must obey all traffic rules and signals, and prove you have general driving ability. NOTE: You must submit proof of your car insurance to the OR DMV before you will be able to take the driving test. Check (checks and money orders must be payable to "Oregon DMV"). To successfully apply for an Oregon driver's license, you'll need to demonstrate to the DMV that you're a U.S. citizen or a legal permanent/temporary resident. Birth certificate issued by the U.S. government. U.S. Consular Report of Birth Abroad. Valid foreign passport and a print out of your I-94. Check out the complete list of accepted documents at the Oregon DMV website.